1968 was the year in the Federal Republic Germany that would define a generation. The leftist “68ers” as they came to be known, stood at the apex of a post-war cultural revolution in which confronting the country’s Nazi past and protesting Western military aggression went hand-in-hand with the melding of pop culture and the avant-garde. 1968 was also the year that young composer Irmin Schmidt, a former student of Karlheinz Stockhausen and Györgi Ligeti, would form legendary krautrock collective Can—a band whose members’ contrasting musical backgrounds coalesced to stretch the boundaries of improvisation in rock. Indeed, making “new” music had always been Schmidt’s obsession, but only after visiting New York City and witnessing the fateful hybrid of rock and roll and Fluxus that was the Velvet Underground did he begin to see the possibilities. More than forty years and some two dozen albums later, Schmidt remains the gatekeeper to Can’s wealth of archive material, which he recently poured through to put together the epic three-volume The Lost Tapes, released this past May. Max Dax visited Schmidt in his studio in the south of France to learn more about Can’s alchemic mix of improvisation and composition. Irmin Schmidt, you recently released the critically acclaimed compilation CAN—The Lost Tapes. 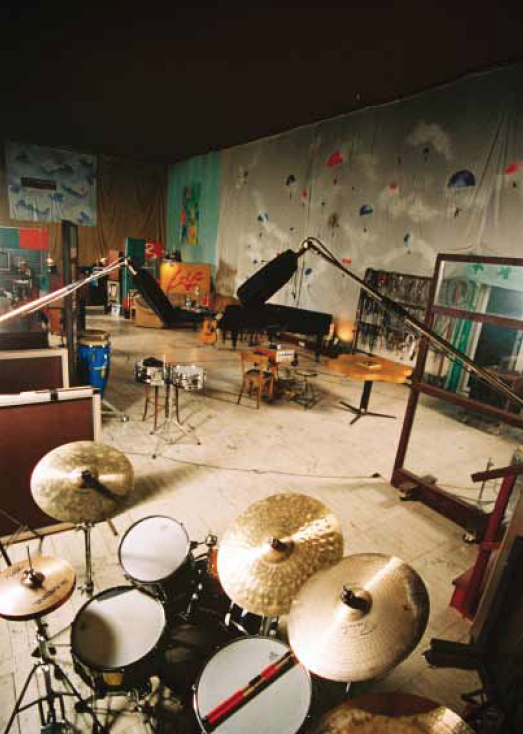 Almost all of the tracks were recorded in the legendary Can Studio in Weilerswist. I’ve always been interested in geography and connections between art and where it was made. What was the importance of the Can Studio and how did that particular space influence the music? Actually, there were two studios. The first one was located in Schloss Nörvenich. That one we only used for a little less than two years—from 1968 until 1969. We made three records there: Monster Movie, Soundtracks and Tago Mago. Schloss Nörvenich had a wonderful late medieval stairway that, as a space, had fabulous reverb. This particular reverb chamber left a big mark on these first three Can records. Unfortunately, we had to leave the castle for the, uh, excessive use of this incredible space. One of our housemates in the castle, the sculptor Ulrich Rückriem, had his bedroom at the end of the staircase and we used to record only during the night. So, after a while, he complained that he couldn’t sleep anymore and we had to look for a new recording studio. Which is when you found the old discarded cinema. Actually, it was one of those typical cinemas that you could find all over in small German villages at the time. It had “normal” measurements—twenty by ten meters—but the special thing was that the ceiling was eight meters high. It was nothing less than immense. You could really say that by remodeling it here and there we made this place our space. First, we nailed mattresses onto the walls for acoustic reasons and for thermal insulation. Then, in a second step, Jaki Liebezeit’s girlfriend started to decorate these mattress walls with beautiful tapestry. It just looked so great! The Can Studio was a space where you could spread out in every respect. It was so huge that it was almost impossible to get on each other’s nerves; we could easily keep a comfortable distance from one another. You appropriated the room and acoustic space by altering it according to your specific needs? Absolutely! We made it ours. We created an atmosphere in that particular room that applied to us and us only. And surely this room had a huge impact on the music that was being recorded there. Did every musician have his own territory? Yes. Everybody had his corner. In the far left corner was Jaki with his minimalist drum set. Opposite to him in the far right corner you’d have found me. I needed a lot of space for my grand piano and all the synthesizers that I had. In the center of the room Michael Karoli had his realm. As a guitarist who only owned two or three guitars, he didn’t need that much space. Damo [Suzuki, Can’s vocalist] always roamed. Holger Czukay finally was mostly working on the upper end of the room where the mixing console was located. In the first five years he basically was responsible for the sound. He would be in charge of the recording and bass at the same time, so he actually played bass mostly behind the mixing console, far away from the rest of the group. And when we didn’t play but were listening to recordings that we just had made, we used to sit on a sofa together in yet another section of the old cinema. I remember it as a kind of saloon sofa. Basically, we’d be playing music far away from each other but listening to music very close together. That’s a very specific process, I would say. Today, most studios offer a variety of ways to take your mind off the recording process. You can watch films or cook or read a book. How intensely did you work in the studio? On a normal working day—or should I say working night—we’d arrive at the studio around 3 or 4 p.m. and leave the place again twelve hours later. Sometimes in winter, it led to the almost poetic situation that we felt we were “allowed” to go to bed after a long working night, and while driving home through the snow we’d see all the working people freezing at the bus stop . . . We had a regular eighty-four hour week in the studio. When you’d record for, say, twelve hours at a time, how important was the editing process that followed? There was no rule to it. The way tracks evolved into their final form was always different. Sometimes a song would record itself effortlessly. Other times the process of collectively writing a song happened in two stages: first came hours of spontaneous “improvisation”—a tricky term, if you ask me. That then turned into a new situation in which we would really listen closely to what everybody else was actually playing. Then, if we’d hear a good moment or idea in it, we’d focus on it consciously and very, very closely. And from that moment on, the improvisation ends and the hard work begins. At this stage of composing, we’d try to find the “key” to a given track. This process often took days or even weeks. We’d start over and over again from zero, and every time it would sound completely different. But as a collective we’d come closer to the idea of a song with every version we’d try out. The French poet Paul Valéry said that the first line of a poem might just fall from the sky into your mind, but the rest is hard work. It’s often the same with music. The first idea defines how the music has to turn out in the process, but there is a process. Jaki always said that a groove is defined by its first four bars. From then on you have to obey this . . . law. I’m talking about a certain kind of discipline. You basically know that you’re getting closer and closer with every attempt. The initial idea or the starting point often is nothing more than an atmosphere. A groove isn’t necessarily just a rhythmical pattern; a groove can be something much more complex. Your day began in the late afternoon, which means you were mostly working in night shifts. How important was natural or artificial light for your music? Today, the sunlight has a completely different importance for me when it comes to making music. Back then I embraced the darkness and the artificial light that comes with it. Don’t forget, the old cinema only had one small window and a door that opened towards the garden. Can was a real night band, with one exception. The album Future Days was recorded mostly during the daytime. The door that led to the garden was open almost all the time. Compared to the others, this album has a completely different atmosphere—you can also quietly hear the birds tweeting and children yelling in a nearby swimming pool through the open door. Whatever sound came through the open door, we’d incorporate it into our music. Why didn’t you record that one at night? What the hell do I know? I suppose it was summer and we were in a good mood. We definitively woke up earlier than usual, I guess. Was incorporating environmental noise a nod to Pierre Schaeffer and musique concrète? I’d say it was more John Cage‘s influence that we accepted the sounds of our surroundings as music. You see, we didn’t start to compose with the birds tweeting, we just accepted them hanging around with us. That’s the difference. Don’t forget that we pressed the first five hundred copies of our album Monster Movie with a sticker that said, “This record does not contain interfering noise” simply because we didn’t consider background noise as interference. Nowadays you mostly work during the daytime. Together with Justus Köhncke and René Tinner, you do a lot of film scores. Have you become an early riser? Not at all. I still sleep as long as I can. And when I wake up, the first thing I do is read a book for at least an hour. Only after this little ritual do I feel able to communicate with other people. I usually work in the studio from 11 a.m. to 8 p.m. Since the early nineties, when I started to work on my opera Gormenghast, I began again to write scores in pencil for symphony orchestras—the way music was notated over the course of centuries. Do you hear music in your head when you read a score? Of course. But I need space to spread out the sheet music on the tables and on the floor. It’s a lot of paperwork, you know? It’s a totally different way to work as compared to composing on the computer, which I also enjoy. Actually, when I compose scores for films, I always do it on Pro Tools. Was the whole band capable of hearing music before playing it when you formed in ’68? With Can, Jaki Liebezeit played the drums hypnotically and machine-like, even though he had a background in free jazz. Did you ever see this as a musical contradiction? Everybody in Can felt this was a contradiction. But the band was by definition a contradiction. We all agreed that we wanted to contribute to Can, but in a totally different way compared to what we’d done before. Previously, I had been a conductor and a classically trained pianist, and I was ready to end that career by starting Can. Jaki didn’t want to play free jazz anymore, he wanted to lose himself in grooves instead. Contrariness was one of the band’s driving forces. I was the one who put the band together, and I saw a high potential in a group that consisted of musicians that came from extremely different backgrounds. For me it was important to have a young rookie playing rock guitar and that he was confronted with musicians who had studied under György Ligeti and Stockhausen. It wasn’t only that you came from different backgrounds and that you were willing to leave behind other interests or even careers. On a human level, you were dealing with vastly different personalities. But this was our agenda. We basically had two choices: Either we’d create something wonderful or we’d fail big time. I’ve always loved and still do love taking risks. Looking back, I’d say I was right. I gave up a career as a conductor for Can, then I gave up Can for new adventures. I was lucky, though: I had married a woman who wasn’t afraid of taking risks either. Let’s talk about one of Can’s landmark albums, Tago Mago. How did the the personalities, the contradictions merge in the studio? Good choice of an album. We recorded Tago Mago in the second year of Can’s existence. The album is a prime example of how it all came together. Every single track on the album had a completely different genesis. And taken in its entirety, Tago Mago shows almost every aspect of what this whole adventure was about. Probably the most important thing when it comes to playing and recording music is to build and to think in structures. Our structural approach was the collage, which is one of the central stylistic principles of the twentieth century, especially in literature, film and visual arts. Perhaps less so in music, but nevertheless . . . We were film lovers. If you watch movies frequently, you sooner or later get used to the concept of editing and harsh cuts. The same goes for the modern contemporary classical music that’s my background. Take the central track of Tago Mago, “Halleluhwah”—this one is almost twenty minutes long. It took ages until we had the groove finalized. When we had agreed on it, we started to record tunes that were based on this groove—some of them good, some of them bad. The final version that you can hear on Tago Mago is a collage of several late takes. Holger, Michael and I had built this architecture together, whereas Jaki just wanted to play. You mean he didn’t get the idea of the collage? No, not at all! He just wanted to play, play play. But every time we presented him the cut-ups we’d made, he’d listen extra carefully. How often he rejected an edit that we had painfully cut together because he heard a rhythmic blip here or a dragging groove there . . . But considering that “Halleluhwah” is one of our most well-known songs, I suppose he was right to say no to the results of so many sleepless nights. Let’s talk a bit about the importance of what you call architecture in music. Thanks to our studies under Stockhausen, Holger and I had quite a similar understanding of music as architecture. It was a common practice in so-called “new music” to create bricolages by cutting up the tape. Stockhausen encouraged us to do so, and we often reassembled at the Studio für elektronische Musik in Cologne. Holger Czukay was the most gifted of us all when it came to editing the tapes. The audio collages he did for Can were simply far ahead of their time. Like with some of the pieces by Miles Davis, you wouldn’t hear that they were edits. You mentioned “Halleluhwah”, which has one of the most incisive and impressive breaks in the history of pop music. Was this the result of such an editing process? Yes. And you can find an equally radical cut in the song “Mother Sky”. Or take “Oh Yeah”—you hear Damo Suzuki’s voice played backwards at the beginning . . . like Sergei Eisenstein sometimes edited his films radically, as if he was using a sword. But all the thinking and all the theory is worth nothing at all if you don’t have someone like Holger Czukay, someone who knows the deep secrets of editing. As for Can, I would go so far as to call the collage formative. You could even consider the band itself a collage of people that don’t quite fit together. Can was a collective at a time when collectives could be seen as a political statement. How political was Can? We weren’t considered political. And we didn’t take sides, so I guess you could call the band non-political. But in a wider Beuys-like sense, coming together the way we did and forming and working as the collective that we were was a political action. For example, as a collective, we rejected the role of the author, as well as every form of hierarchy. We even split the royalties when one of us hadn’t even played on a song. Jaki once famously said: “Not to play is a musical decision, too!” Even the decision to own the studio you work in I would consider a conscious political act because it made us independent in the truest sense of the word. You have to remember that nobody had ever worked like that before us. And back then the idea of claiming independence was on nobody’s agenda. At the end of the day we said no to the industrial exploitation of our art. No record company could ever tell us the slightest thing. There always was dialogue, yes, but nobody could tell us what to do. We were totally aware of the importance of owning our means of production, and we were in full control of all the processes that led to musical results. Of course, this is very political. But we refused to comment on daily politics. Coming from that background, what risk does a film director take in that respect when he or she commissions you to write a score? That’s a funny question. He’d maybe get something quite different than what he expects or thinks he’d get. And even though I’d call myself erratic and incalculable, you’ll certainly notice a common thread in the scores I’ve delivered through the years. Besides that I’ve always been a very cooperative fellow when it comes to films. The score has to serve the film and not vice versa. I see myself as a hiree in that regard. Of course, I want to contribute to whatever film I’ve agreed to work on, and I actually quite like discussing a score together with the director in depth. We watch the film together and we always talk about the purposes and the reasons for having music in particular. It sometimes even happens that I try to persuade a director to not have music in a certain shot, knowing full well that I’d get less royalties if he listened to me. Can you name a score that you’d consider especially fitting? I’d say all the films of Jean-Pierre Melville. I think he is just a genius when it comes to using music to push the narrative of a film. In Le Samouraï, he goes to the limits of what a film score can achieve. The tweeting of Alain Delon’s little bird for instance is an integral part of that score, and I pay him the biggest respect for allowing this. Henry Mancini is another very good example. I don’t remember the title of the film anymore, but in one of his scores he makes intense use of a piano—but the key of G is out of tune. And I love the scores Oskar Sala wrote for Hitchcock, and how he sometimes was able to build up an atmosphere of almost hysterical suspension, especially with The Birds, where he used only electronically made bird sounds. I tip my hat when I notice details like this in a score. Suffice to say, always paying maximum attention to details is fundamental. You were born 1937 in Berlin. You grew up in a destroyed city and came of age in the post-war Federal Republic of Germany. How were these periods in history formative for you as a musician? It always happened when you’d make a mistake more than once? One mistake is always allowed. It’s not allowed to make a mistake the second time. And if it happened a third time, she’d remind me of that. It was her deep, deep wish that I’d become a professional musician. For a moment in life it looked like I’d become a singer myself. At the age of eleven I must have had an incredibly beautiful voice and people say that I was able to reach very high registers. I used to sing long arias by Händel that I had memorized. But I was a boy. And, inevitably, the day comes when your voice breaks. That was in 1950. I had to stop my career as a singer. What about memories from the war? I can imagine that Can, as a truly post-war German band, must have had shared memories that were foundational for the group. After the war, my family didn’t return to Berlin. We lived the first post-war years in Dortmund, which was reduced to rubble. Of course, these ruins have had a huge impact upon me. My whole life I had a reoccurring dream: In a golden twilight, I walked through a mysterious city in ruins, but I wasn’t allowed to enter the destroyed buildings. So I walk and walk and walk through the constantly changing silhouette of this burnt down city . . . Everybody who has experienced an air raid will carry the memories until he dies. I especially remember one attack, I must have been five years old. We had to remain in the bomb shelter for some time, after which we were eventually allowed to step back into the garden. My grandparents and my uncle were with me and some other members of the family. Two of them were militant Nazis. It was during the night. Flak spotlights were combing the black sky. At a certain point, they seemed to have located one of the attacking airplanes. My uncle applauded, and I kicked him hard in his shin. Then I cried and screamed like I was insane, because I just had realized that they were about to kill a human being, even though it was an enemy bomber pilot. I had tin soldiers and tanks, too. As a boy I played war. And I remember that specific war related terms such as Kesselschlacht—cauldron battle—sounded totally common to me. I doubt that five-year-old children nowadays know such words. Anyway, one day another uncle of mine visited us in the countryside, and he gave me a toy ambulance as a present. I remember him saying: “This is for all your wounded and dead soldiers.” These two events are the most vivid of all my war related memories. Did it change how you played with your tin army? Well, I drowned them all in a little creek near the house. I can still hear the trees in the wind and the water flowing when I recall this little childhood scene. I have a photographic memory when it comes to sounds that are related to spaces or people. Perhaps the most memorable was of a long journey with a night train from Berlin to Innsbruck when I was about six years old. I resisted sleep and instead listened the entire night to the sounds that I could hear lying in my bed. I hallucinated listening to these invisible distant sounds and incorporating the monotonous groove of the train beating the tracks. I loved the voices that you’d hear through the speakers when the train would stop in a village or city, only to be replaced by the monotony of the tracks that would lure you in when you picked up speed again. I listened to the train sounds as if they were music. My love for “concrète” sounds and the idea that every sound audible on tape belongs to the music must have originated from this train ride. How consciously can a young boy listen to sounds and surrounding noise as music? Very consciously! I know that in my head I hallucinated choirs and string sections playing harmonies to the repetitive train groove. A later song of mine which appeared on my first solo record and which I wrote together with the Swiss artist Bruno Spoerri has the title “Rapido de Noir”. In this particular track I took one of Bruno’s field recordings from a train ride, edited it, and gave it a structure. Then I played the Prophet 5 synthesizer over it, which I heavily treated with guitar distortion and wah-wah. Even though this childhood memory is actually quite a sweet one, the song itself turned out rather dark. One of the beautiful things about train noise is its sound spectrum. A moving train features almost all the frequencies audible to the human ear. I don’t know any other machine that has such a rich sound. 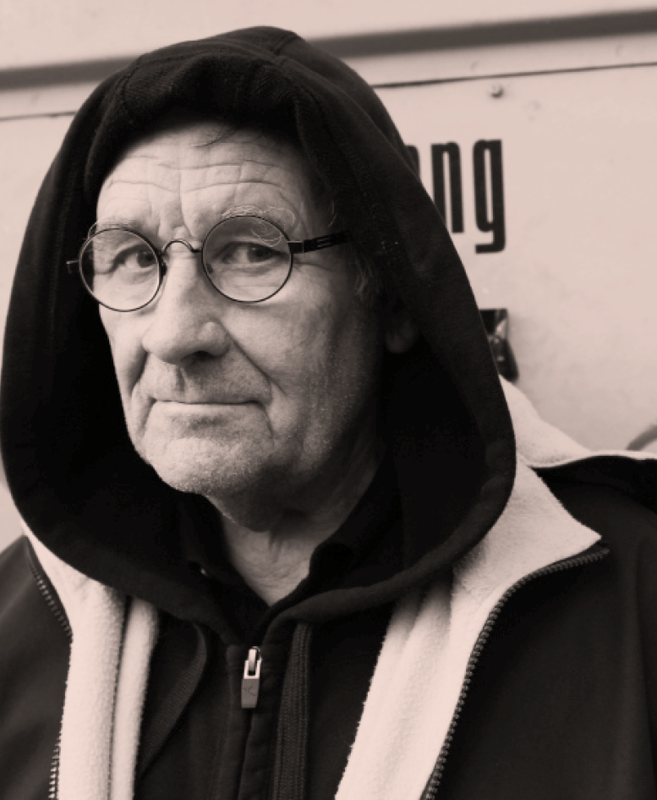 Picture 1: Irmin Schmidt, krautrock O.G., photographed in front of Berlin’s Tresor Club by Luci Lux. 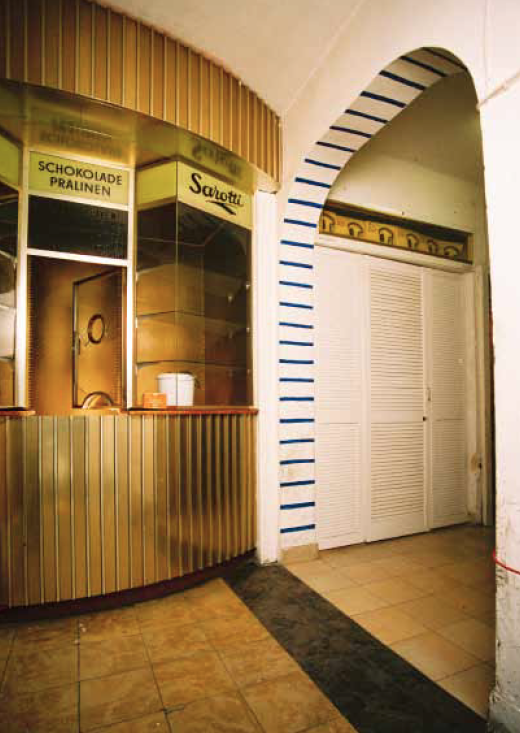 Picture 2: Cinematic impovisation: entrance to the former Can Studio in Weilerswist, photographed by Thorsten Güttes. Picture 3: Jaki Liebezeit’s Weilerswist throne, in stereo by Thorsten Güttes. This text appeared first in Electronic Beats Magazine N° 31 (Fall 2012). Read the full issue on issuu.com.